Along with many practical applications, Bayesian Model Selection and Statistical Modeling presents an array of Bayesian inference and model selection procedures. 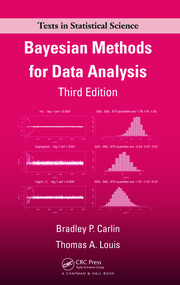 It thoroughly explains the concepts, illustrates the derivations of various Bayesian model selection criteria through examples, and provides R code for implementation. The author shows how to implement a variety of Bayesian inference using R and sampling methods, such as Markov chain Monte Carlo. He covers the different types of simulation-based Bayesian model selection criteria, including the numerical calculation of Bayes factors, the Bayesian predictive information criterion, and the deviance information criterion. He also provides a theoretical basis for the analysis of these criteria. In addition, the author discusses how Bayesian model averaging can simultaneously treat both model and parameter uncertainties. Selecting and constructing the appropriate statistical model significantly affect the quality of results in decision making, forecasting, stochastic structure explorations, and other problems. Helping you choose the right Bayesian model, this book focuses on the framework for Bayesian model selection and includes practical examples of model selection criteria. Tomohiro Ando is an associate professor of management science in the Graduate School of Business Administration at Keio University in Japan. "…excellent … for learning or applying [the Bayesian approach]. … The book is suitable for classroom usage. There are challenging problems in the exercises. Graduate students would like this book." "This book is good at describing the various methods which have been proposed in this area. It also gives good examples of the use of most of the methods … . There is R code available for many of the examples on the author’s web pages and this is a very positive aspect. The examples I looked at seemed to be well written. The book has exercises at the end of each chapter. … this book will make a welcome addition to my bookshelf. If I need to calculate a marginal likelihood, for example, it will inform, or remind, me of the range of methods available." 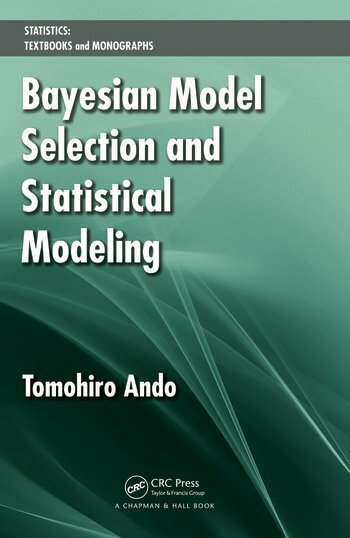 "The book can be useful in several different ways—apart from the most obvious use as a text for a course on Bayesian model selection, it will be of value for anybody working on problems of model selection since it seems to be the first book-length treatment from a Bayesian perspective. Most of the many references are from the 1990s and 2000s, which means that the book (especially Chapters 5-9) will provide a very good overview of the Bayesian literature on model choice, especially for non-Bayesian researchers working in this area."